At a certain point in most peoples’ career, they feel like an impostor. It is the feeling that you don’t belong at the law firm or that you don’t deserve the success that you worked hard to achieve. “Impostor syndrome” is a lot more common than expected, even among successful lawyers. The feeling of being an imposter is most common in people who are from communities that are underrepresented in law firms but anyone can have those feelings. 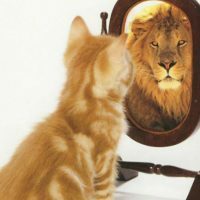 Fortunately, there are strategies for overcoming imposter syndrome. Acknowledge your feelings. The first step to making sure that imposter syndrome doesn’t stymie your career is recognizing that you have these feelings. Ignoring the feelings of not deserving success can cause you to do things that can sabotage your career including failing to apply for jobs you’re qualified for. Recognize that others share the same feelings. 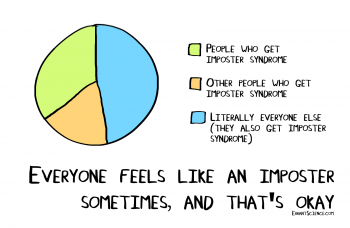 Knowing that you’re not alone in your suffering [from imposter syndrome] can help you feel less isolated. There are many successful men and women from all backgrounds who sincerely feel that they do not truly deserve any high level of success even though they are talented and accomplished. Remember your life wins. Did you overcome a difficult childhood? Were you the first to go to college in your family? Did you overcome any form of discrimination to graduate at the top of your law school class? When you feel like an impostor, remember any of your past accomplishments to help you gain perspective on why you belong there. Reframe failure. Many people who suffer from imposter syndrome feel that any failures they experience are a reflection on their value as a person. It is important to understand that failure is part of the learning and growth process for all attorneys. Overcoming impostor syndrome will give you the confidence to reach for the best career opportunities you’re qualified for. Subscribe to the Leopard Blog for discussions on overcoming your professional fears, on law firm insights, and other relevant topics.